Hand painted custom AF1 Glitch. Restored old slip-ons. Hand painted Edgar Allen Poe. Hand painted custom Chucks - CDG Hidden Heart satire. I love creating unique sneakers and clothing. Contact me with your ideas. Customizing sneakers and shoes normally cost $100 to $300 depending on the design. You must purchase or already have the sneakers that you’d like to customize yourself. If you’d like me to purchase the sneakers for you there will be a handling fee. Rather than hand painting, sometimes the designs can be directly printed onto certain shoes. This option normally is also a cheaper option. 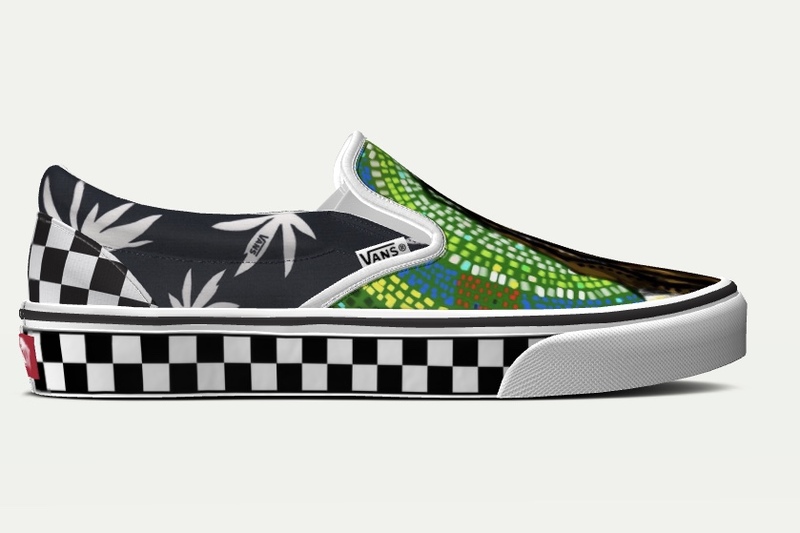 Most of my artworks can be printed directly on to the shoes or I can design something new for you. SOME DESIGNS CAN ALSO BE HEAT TRANSFERRED.